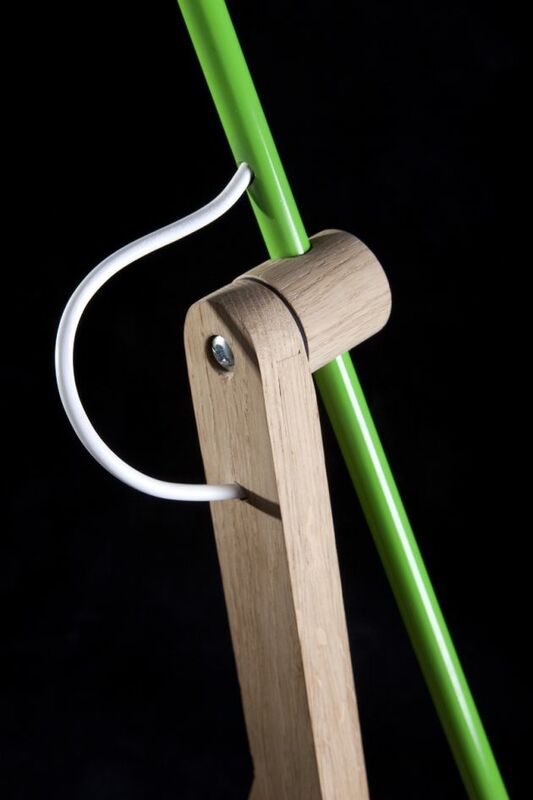 Polish designers Dorota Kulawik and Jan Modzelewski, are both recent graduates from the Industrial Design Faculty at the Warsaw Academy of Fine Arts. 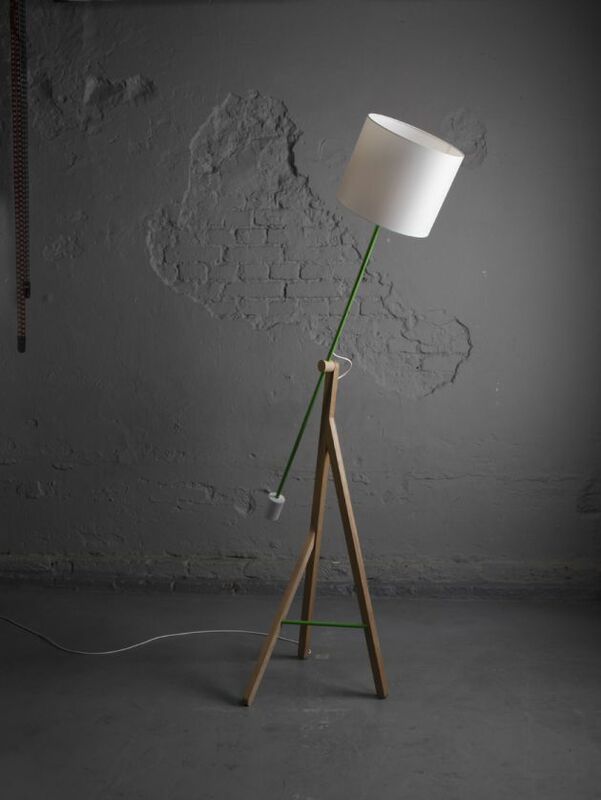 The two young designers have now formed their own design studio called StrawberryKingdom, and have created the Good King Henry Lamp as one of their first designs. 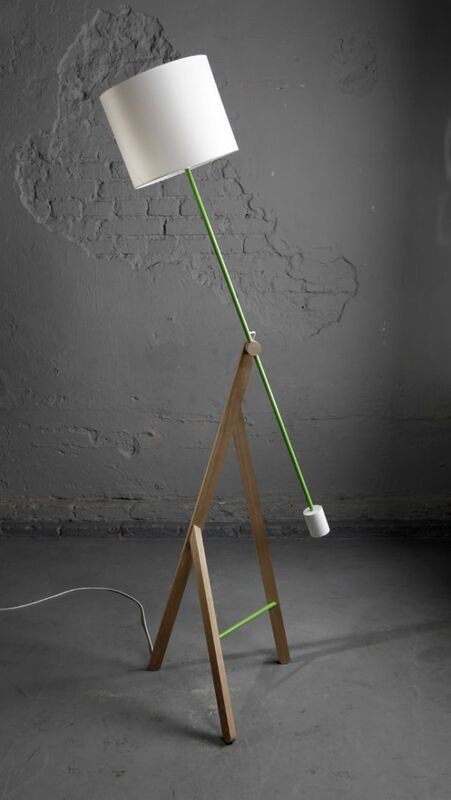 The Good King Henry lamp is made out of oak and powder coated steel tubes. It is surmounted by a fabric shade. The authors were guided by the idea of a perfect workmanship. 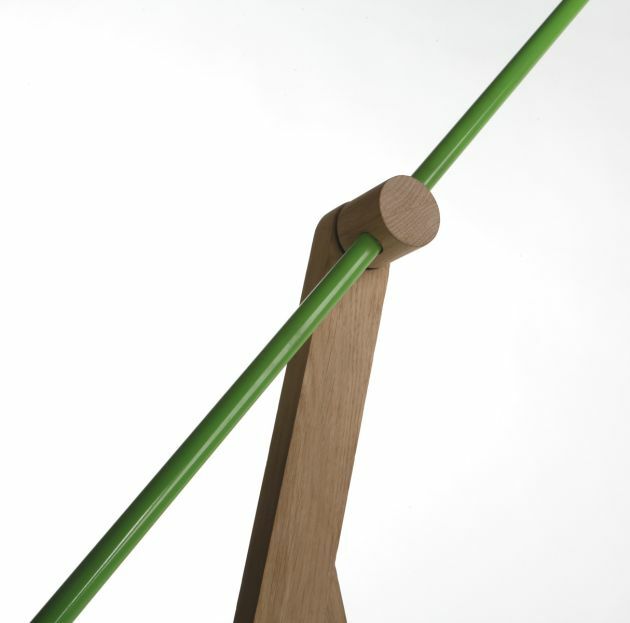 The simplicity of the structural elements stresses their functionality and the combination of the bright colours with the pale hue of the wood gives the object subtleness. 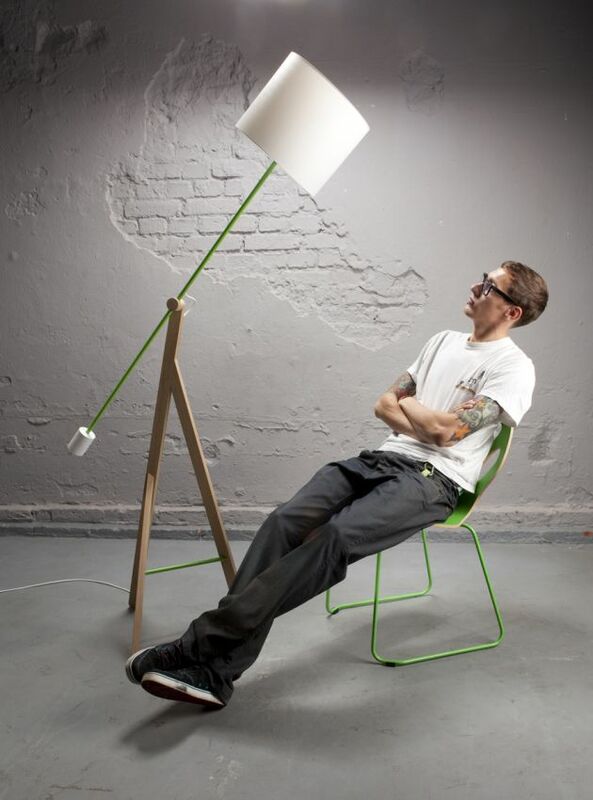 The shade was placed on a movable arm, which enables the users to adapt the inclination of the lamp so it best fits their needs and the nature of the interior. 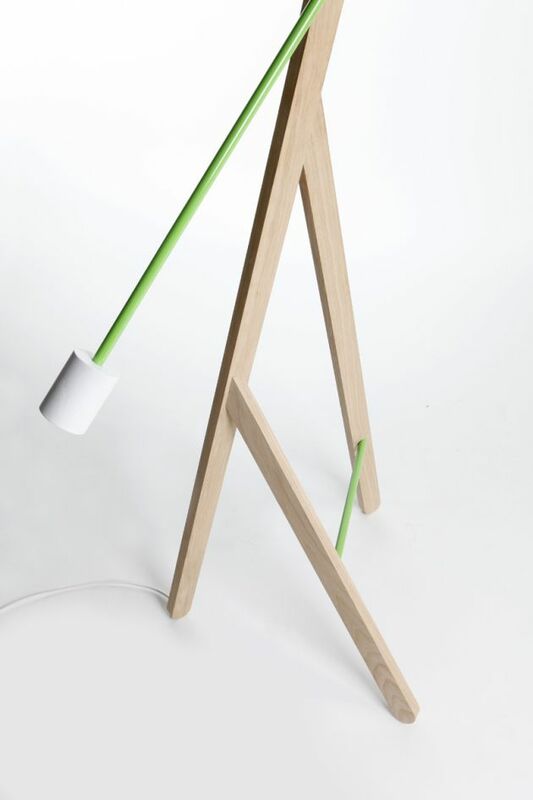 The irregular arrangement of the slats gives the lamp three different faces – the shape of the object changes according to the perspective from which it is observed. It awakens curiosity and encourages user interaction.